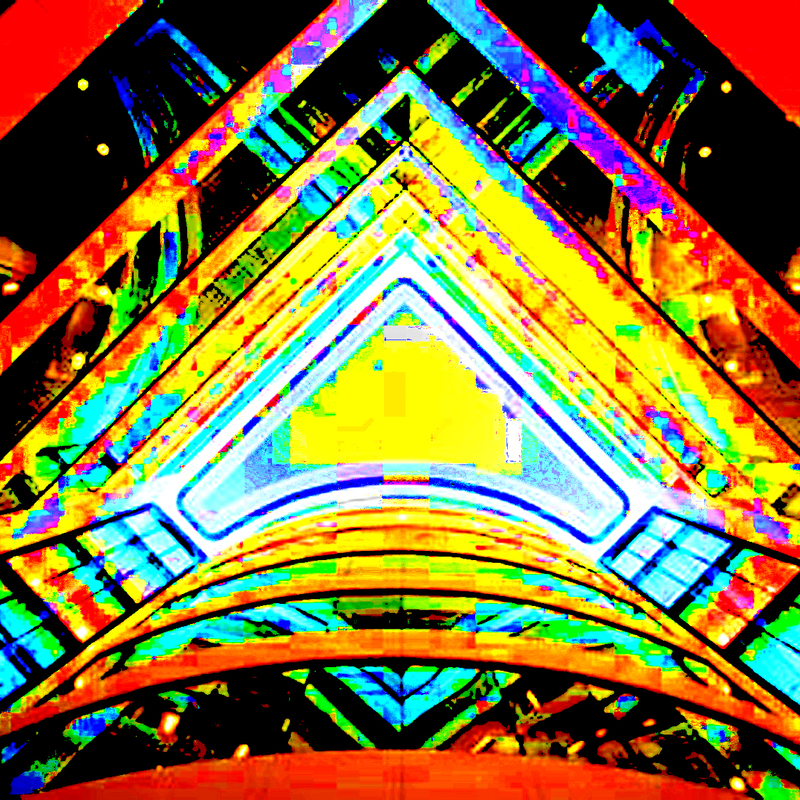 It’s official: Howlround will be at Kings Place on Sunday 8th December, unveiling a brand-new and unique performance of secret sounds recorded in the bowels of this gleaming and futuristic structure, situated on the banks of the Canal in the recently modernised Kings Cross area of Central London. Tickets and event details here. There’s also a Facebook Event Page for those social-networkingly-inclined amongst you. The press release: Howlround will be unveiling a semi-improvised composition/performance played on reel-to-reel tape machines using the ‘hidden’ sounds of the building itself and the analogue tape manipulation techniques of musique concrete to create an alternative portrait of the space, exposing hidden and mysterious depths. With all artificial effects and additional reverb strictly forbidden, the raw sounds will be allowed to tell their own story, often becoming impossibly strange and otherworldly within a few passes of a tape loop across a play-head, creating a spatial exploration at times akin to an aural séance. It should also be quite a spectacle as we desperately try to get our increasingly temperamental vintage Revox tape machines to do our bidding live on an actual stage in front of a seated audience without imploding spectacularly. It’s our most ambitious work yet and will NOT be repeated, as well as potentially being the final outing for our increasingly fragile dinosaur collection, so make sure you catch it. For anyone unfamiliar with Kings Place, it’s a multi-purpose labyrinth of a place consisting of performance spaces, galleries, a rather classy restaurant and lots of office space belonging to The Guardian and The Observer (which are newspapers). Armed with nothing but a hand-held recorder and a contact mic, Howlround were granted access all areas and recorded everything from pianos being moved, harpsichords being tuned, sculptures creaking, wine glasses, metal poles, mic stands, squeaky doors, a leather sofa and a sandwich toaster from the cafe. We shall be playing these sounds and nothing else inside Hall Two friom 4pm. At the time of writing everything is in its early stages but is sounding most beguiling. There will also be an interactive session after the main performance, where we’ll be playing with sounds donated by you, THE FANS. Can you think of a better way to spend a Sunday afternoon in December? Nope, me neither. A great big thank you to Louise Gray for her support and encouraging words. Hopefully this bodes well for our performance at Kings Place on Sunday December 8th, where we’ll be unveiling a brand new and exclusive one-time-only live performance, featuring 100% previously unheard material. A full HOUR’s worth, providing our machines (and our audience!) can take it. There’s a Facebook Event Page here for those of you so inclined. In other news I’m very pleased to have made a small contribution to the first issue of a new digital zine entitled Wyrd Daze, the brainchild of writer, musician and blogger Leigh Wright, often known as The Ephemeral Man. 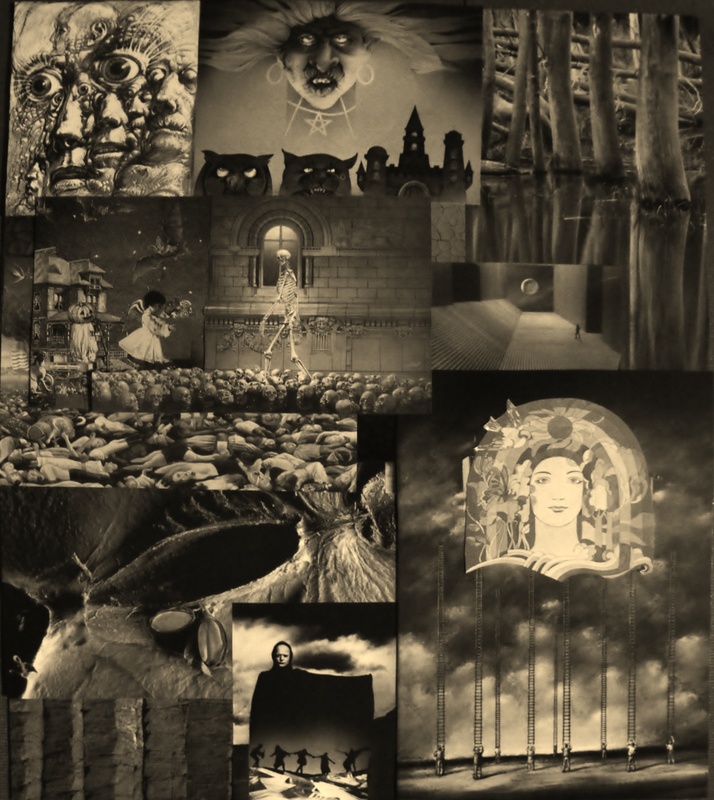 An Englishman abroad with a finger firmly on the pulse, Wyrd Daze Issue 1 is literally crammed to bursting with brand new and exclusive content, including writing, music, artwork and film, all available in one hefty-yet-managable download. For my own contribution I’ve put together a 40-odd minute Wyrdmix which is included amongst many other delights in the download. It’s perhaps a departure from the nature of my usual mixtapes, but does consist largely of current tracks that I’m very excited about, with an extra smattering of older tracks that I haven’t stopped being very excited about yet. Other than that there’s video, short films, photography, comics, illustration, stories a 5-track EP of exclusive tracks from Wyrd-Daze approved artists and lots more besides. It’s basically an embarrassment of riches for a paltry sum, and who honestly wouldn’t like a little more of the former and a little less of the latter in these straightened times? 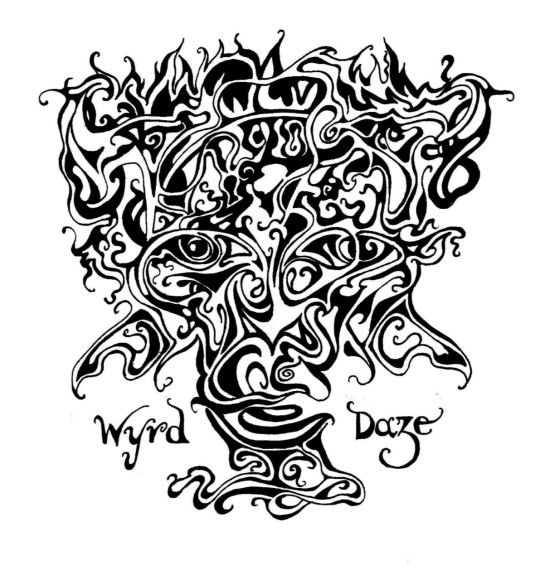 As Leigh himself puts it ‘There’s a great community of independent artists creating extraordinary things, and Wyrd Daze is a way to bring some of this work together as a communal celebration of this creativity. The zine is available via a subscription of 5 Canadian dollars, which is about £3, which is a very small amount considering the wealth of content in the Wyrd Daze download, and the aim is to raise a revenue with subscriptions with which to pay artists for original work for the zine – a worthy cause, I feel’. I agree as I’m sure you will. 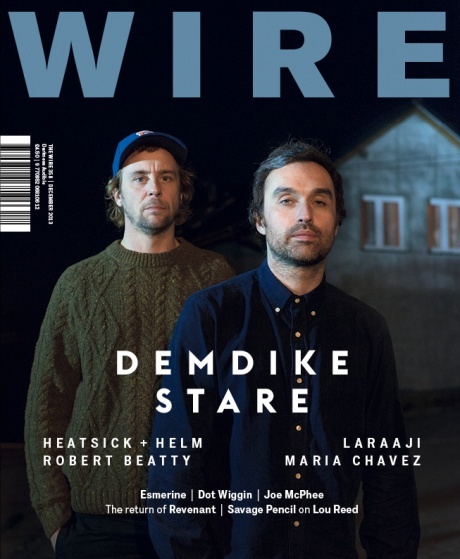 For those of you hungry to learn more, Leigh has put together an online Sampler of Issue 1 and the accompanying Podcast. He’s also very keen to source all kinds of material for future issues, be it writing, drawing, artwork, music, video, and is encouraging submissions via the Wyrd Daze website. As of yet all proceeds from subscriptions are to be ploughed back into the magazine, but Leigh is confident that as word spreads he will be able to generate enough revenue from subscriptions to properly remunerate his contributors. In the meantime some considerable exposure in some talented company is hardly something to be sniffed at. Produced by Iain Wilson of FOTW Audio Productions and presented by Robbie Buck, That Dr Who Sound! is a brand new documentary produced for ABC Radio’s ‘Into The Music’ programme that explores the impact of the Workshop on modern electronic music, as well as mainstream pop and rock sounds. Generations of kids – not only in the United Kingdom, but abroad – seated in front of that perennial babysitter, television, would hear these strange Radiophonic sounds, the impact of which would take years to unfold, and in the most interesting ways! 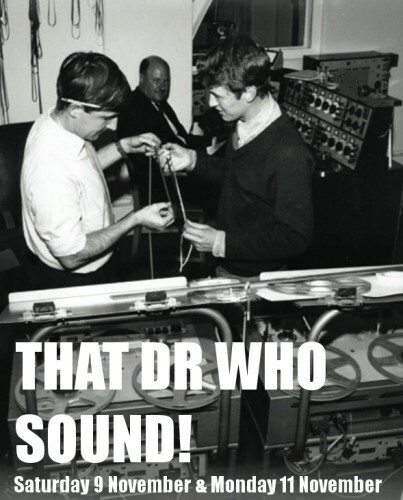 That Dr Who Sound! explores these interesting relationships, as well as hearing stories of the legendary women of the Workshop; the mystery of Pink Floyd’s disappearing Doctor Who theme; the talking walls of Bush House; and how Genesis of the Daleks inadvertently helped with the birth of techno. Featuring the music of Pink Floyd, Belbury Poly, Pet Shop Boys, Howlround, Other Places, Peter Howell, Dalek I, Ray Cathode, the Delia Darlings, and Model 500, as well as original interviews with workshop members, music writers, and the “descendants” themselves – musicians creating music in the spirit of the workshop. 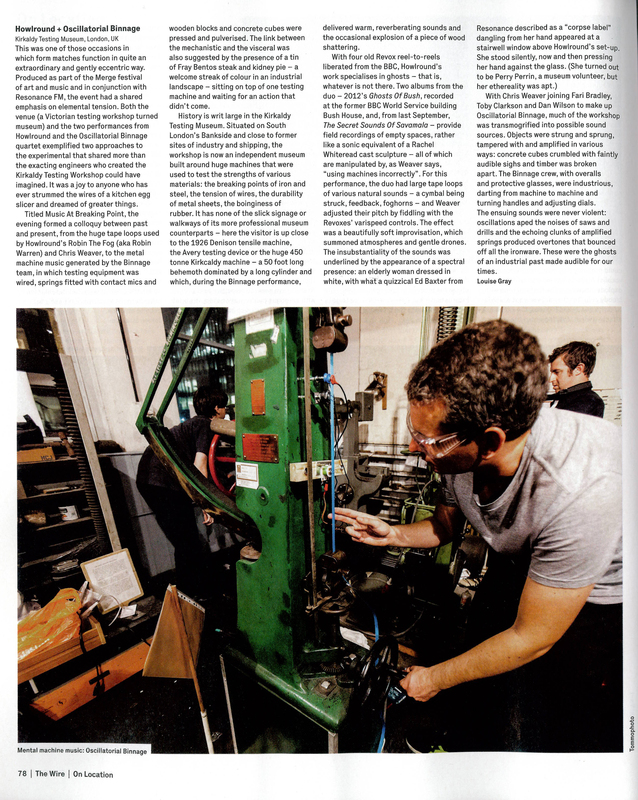 As a “descendant” of sorts myself, or at least someone who works for the BBC while wearing his radiophonic colours with pride, I was interviewed for the programme via satellite and, thanks to the time difference, at some ungodly hour in the morning. We talked rather sleepily about the genesis of the Ghosts Of Bush project and ruminated on the effect that hearing strange and futuristic sounds at tea-time on Saturdays had on generations of children the world over. (Then I bombarded him with youtube links of classic Public Information Films for two days solid, but that’s another matter). Or failing that just cut straight to the chase and stream or download it here. There’s an events page on Facebook for those of you down with that sort of thing. Congratulations and three cheers to Iain Wilson and Robbie Buck as well as Executive Producer Cathy Peters and Sound Engineer Mark Don for a most enjoyable hour. For more of Iain’s work visit his website here and follow him on Soundcloud. Apart from producing a fine body of material, he’s living proof as to just how far youthful robot dancing can take you! 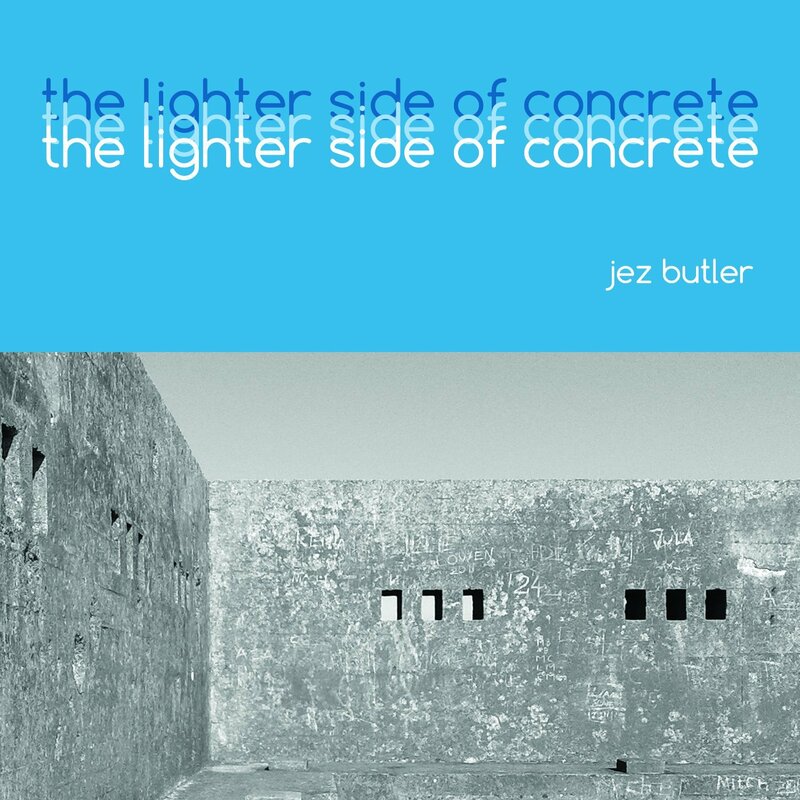 On a similar note, Radiophonic aficionados are warmly invited to check out The Lighter Side Of Concrete, the new album by Bristolian producer Jez Butler. Inspired by the distinctive work of Workshop legend John Baker, it’s an album of instrumentals composed entirely using domestic objects such as bottles, glasses, electrical appliances, the human body and a single guitar string. While wearing its influences quite clearly, it’s a long way from mere pastiche, though it is quite remarkable how closely Jez has captured the Baker sound, particularly his patented ‘croaky frog’ bass notes. The album rounds off with three electronic demos which are so close to the sound of the BBC Schools Programming interlude music of the 1980s that I keep expecting Sheelagh Gilbey to turn up and start lecturing me on the Bayeux Tapestry or something (this is a good thing – she was my first schoolboy crush). Why not visit Jez’s website and get yourself a copy? It will certainly appeal to fans of the likes of Ghost Box’s Belbury Poly, and indeed features on their latest Radio Belbury podcast. Surely no more convincing is necessary? Oh, Doctor, Oh, Sheelagh, where did my childhood go?